The foot skeleton consists of 28 bones. The foot bones can be divided into following groups: tarsal bones, metatarsal bones and phalanxes. 20 muscles and over 114 tendons and ligaments ensure the required flexibility and stability of the bones to each other. A fine nerve and blood vessel network supplies the surface and deeper muscles above and below the foot. The foot has a longitudinal and transverse arch. The foot arches are held in place by cross bracing of muscles and held upright by tendons. Hence, the body weight is mainly carried by the three points of the heel, the first and the fifth metatarsophalangeal joints. Together they 'wrap around' the middle foot like a stirrup from the inside and outside and hold the arch up. The foot provides the first contact between human and the ground. 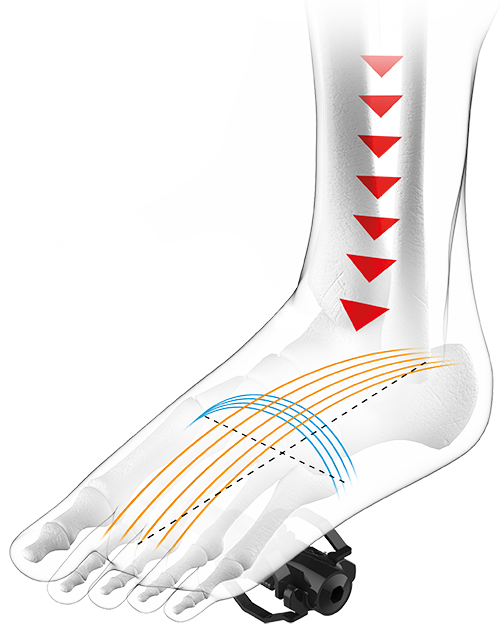 In a healthy foot in normal position, the transverse- and longitudinal foot arches perform an important dampening role. The entire body weight needs to be carried by the foot when walking, while also reducing the load peaks on joints such as knees, hips, and spine. To do this, the foot arches subside upon ground contact of every step due to the load experienced, and the muscle tension builds them up again. On subsidence of the foot arches the foot fatigues and the direct force transmitted to the pedals is reduced. Too much movement of the foot in the cycling shoe can lead to nerve and blood vessel constrictions which result in paraesthesia or numbness. 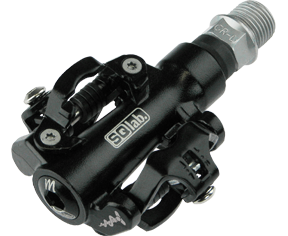 Clipless pedals available in four different axis lengths. 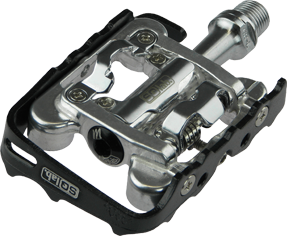 One sided clipless pedal available in four different axis lengths. 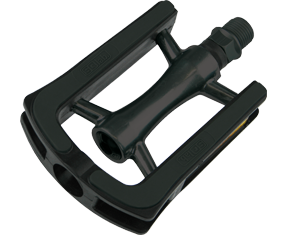 City pedal available in four different axis lengths. 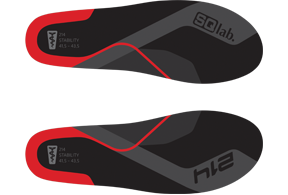 Insoles for high support of the longitudinal arch in the foot. 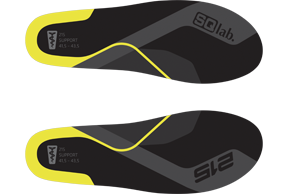 Insole for medium support of the longitudinal arch in the foot. 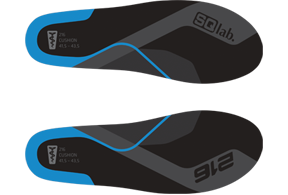 Insoles for low support of the longitudinal arch in the foot.